Every couple of years, when I’m in the neighborhood, I skulk around to a 5-story walkup apartment building at #287 West 147th Street between Adam Claton Powell and Frederick Douglass Boulevards, or as they were formerly named, 7th and 8th Avenues. 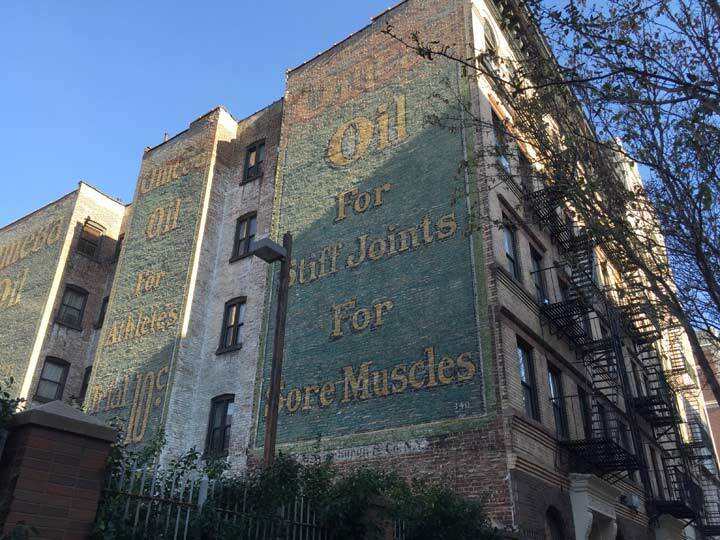 The building faces a parking lot for the NYPD Service Area 6, which leaves these monumental blue and yellow early 20th Century ads for Omega Oil fully exposed in full sunshine. This makes the ads easy to photograph, up to a point. One would really prefer to get a full photo of all three ads in the triptych by standing directly in front of them, but the NYPD forbids it by posting NO TRESPASSING signs and shooing away any photographers attempting to enter the lot. Thus, other than knowing any NYPD employee who can get that sort of picture themselves or clearing whatever red tape exists to get me in there, I have relied on angled shots from West 147th for the most part. Frank Jump, who has been chronicling these “ghost ads” for two decades, has gotten good shots of such ads by ringing doorbells, talking his way into apartments, or even climbing on parapets. I’m too diffident and cowardly for this sort of thing, so I make do with my limited ability. Often overlooked here, as on other such “ghost ads” is the name of the sign painter, often rendered toward the bottom, in this case M. Wineburgh & Co.
Omega was an all-purpose liniment sold in the early 20th Century that billed itself responsive to such disparate ailments as sunburn and mild muscle strain. I imagine its effect was limited to convincing the user that his or her pain was being alleviated, more than any actual alleviation, but I may be wrong. 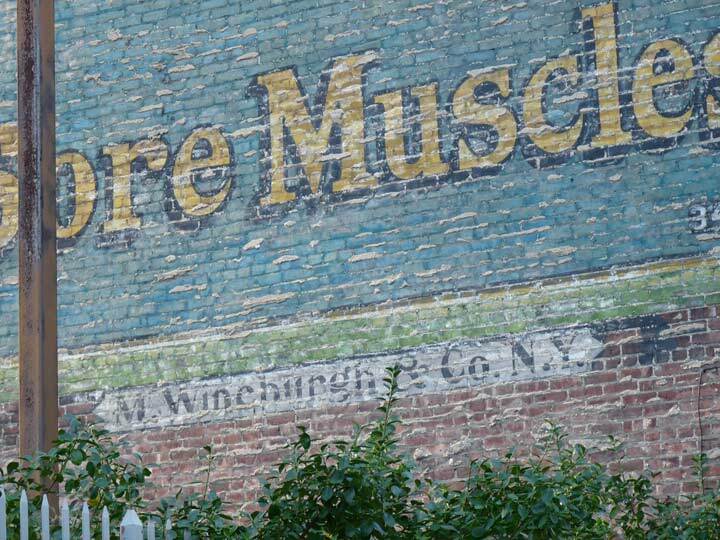 One sign of quality that shines through is the paint quality Wineburgh used, since it has survived decades of sun bleaching! There is a good reason you came up empty on “M. Winchurgh” — the ‘e and ‘h’ are a tad faded; it is M. Wineburgh & Co. I have not done any research to find out more about this ad firm, but from the times I see that they were sued by the City of New York in the early 20th Century for the placement of their ads, I am quite confident that this is the proper name of the ad firm. The reason you came up empty is because the name is M. Wincburgh Advertising Company, not “Winchurgh”. 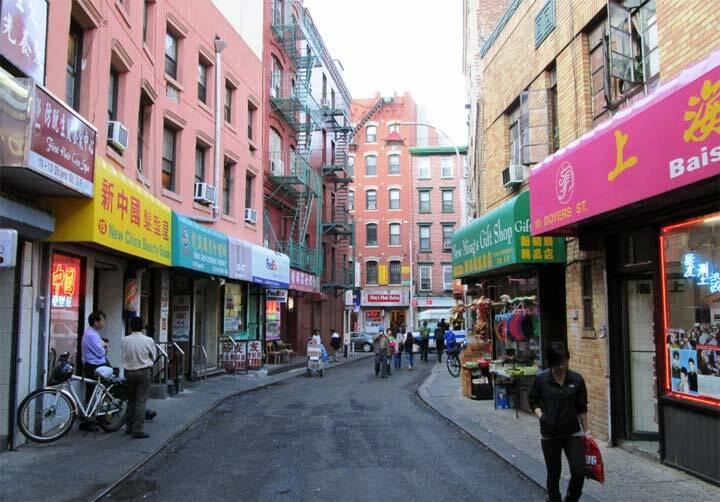 It was located at 576 Fifth Ave, in Manhattan. ah, so that’s how it’s spelled. Omega Liniment is still manufactured in the Phillippines, and available from a Amazon.com . It contains methyl salicylate, camphor and menthol. Garners a 4.5 star rating as a pain killer.